Mrs May was addressing the annual conference of the National Housing Federation, the voice of housing associations in England. She said for too long a stigma had been attached to affordable or what is sometimes called social housing, and that part of the problem was the buildings themselves. She told the conference in London: “Whether unintentionally or by design, the decisions we make about the homes we build for social rent – their location, quality and appearance – can all too easily make them distinct from the community in which they stand. To applause, Mrs May added: “On a new mixed-tenure development, the social housing should not be tucked away behind the private homes, out of sight and out of mind. As you look from building to building, house to house, you should not be able to tell simply by looking which homes are affordable and which were sold at the market rate. “The quality of aesthetic, design and build should not be any lower just because a property is to be managed by a housing association. Some say that quantity, quality and affordability must always be traded off against one another. “Well to them, I say look at the Nansledan development outside Newquay. Thirty percent of the new homes under construction at Nansledan are affordable housing for rental or shared ownership by people on the local housing list. They are deliberately interspersed with private housing and are indistinguishable from the outside, being built to the same high quality. The objective is to help create a balanced and cohesive community where there is no stigma attached to living in certain types of property or parts of the development. This ‘pepper potting’ of affordable housing was one of the innovative ideas suggested by HRH The Duke of Cornwall in his 1989 book ‘A Vision of Britain’, first championed in Poundbury and which has since become a signature of Duchy of Cornwall development. 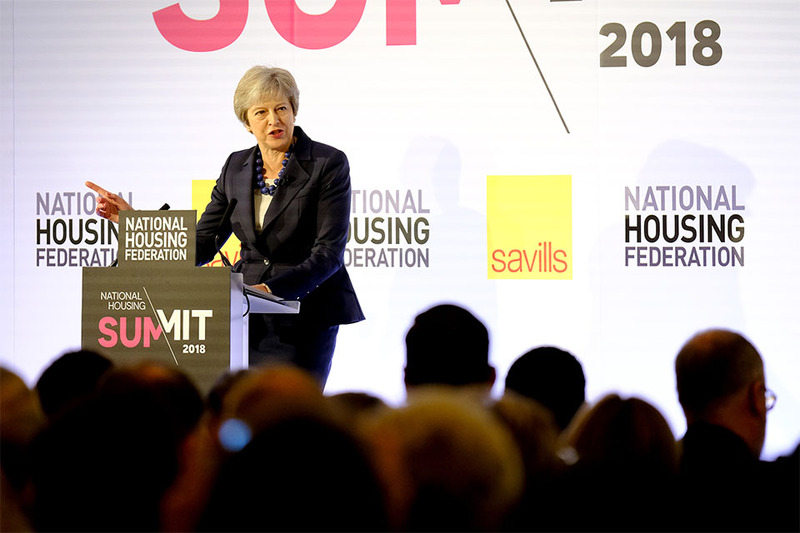 To read the Prime Minister’s full speech to the National Housing Association summit, click here or watch a video of the speech here.